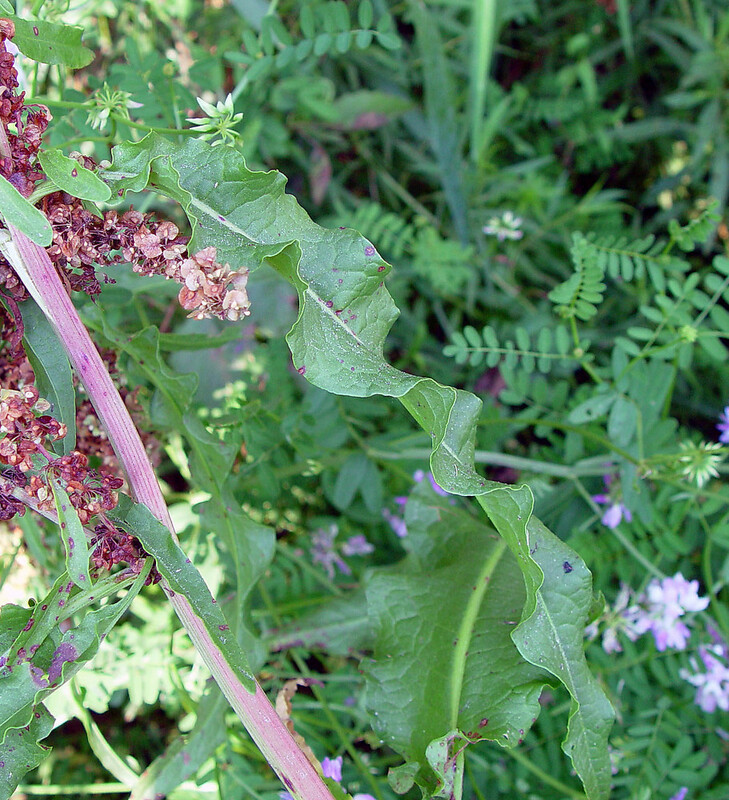 Curly dock is found virtually everywhere in the world, naturalized and in some places invasive. 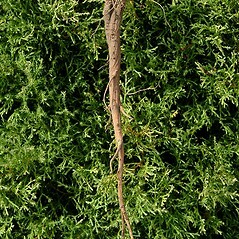 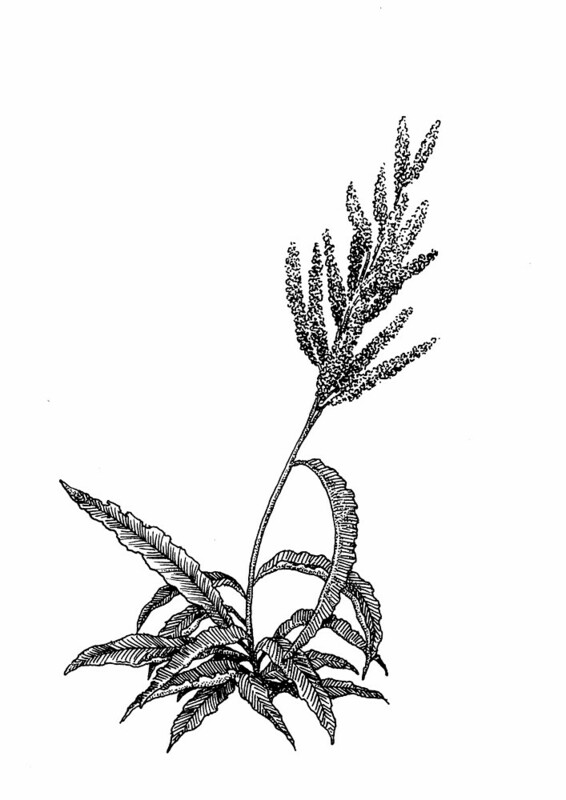 The Blackfoot used the mashed root pulp as a poultice for sores and swellings. 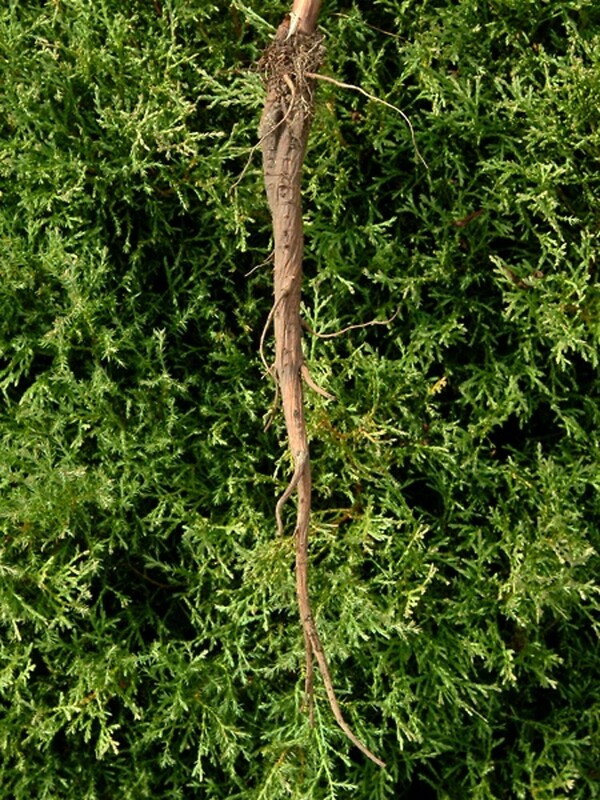 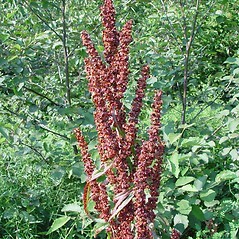 This plant has medical uses in European herbal medicine as well. 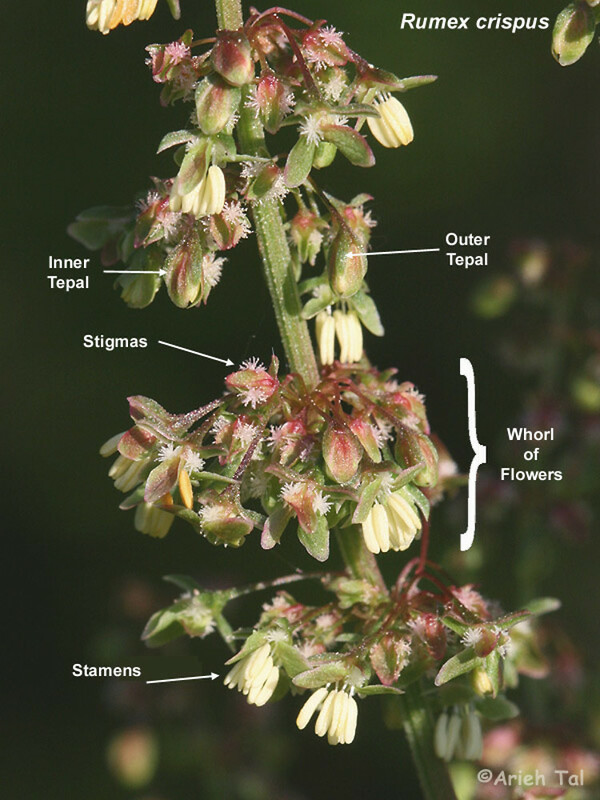 all 3 of the larger, veiny-patterned parts of the flower with a distinct tubercle and the tubercles all of similar size, and the flower stalks with a poorly defined, obscure articulation point (vs. R. crispus, with usually all 3 of the larger, veiny-patterned parts of the flower with a distinct tubercle, but 1 of the tubercles smaller or larger than the other 2 and flower stalks with a small, but evident swelling representing an articulation point). 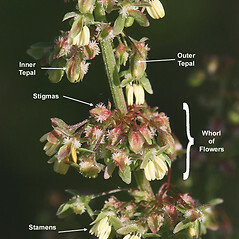 larger, veiny-patterned parts of the flower with marginal teeth, only 1 of which with a tubercle near the center (vs. R. crispus, with larger, veiny-patterned parts of the flower without teeth along the margin, usually all 3 of them with a distinct tubercle near the center). 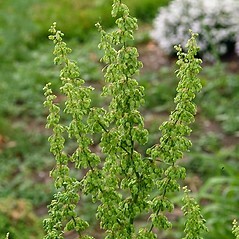 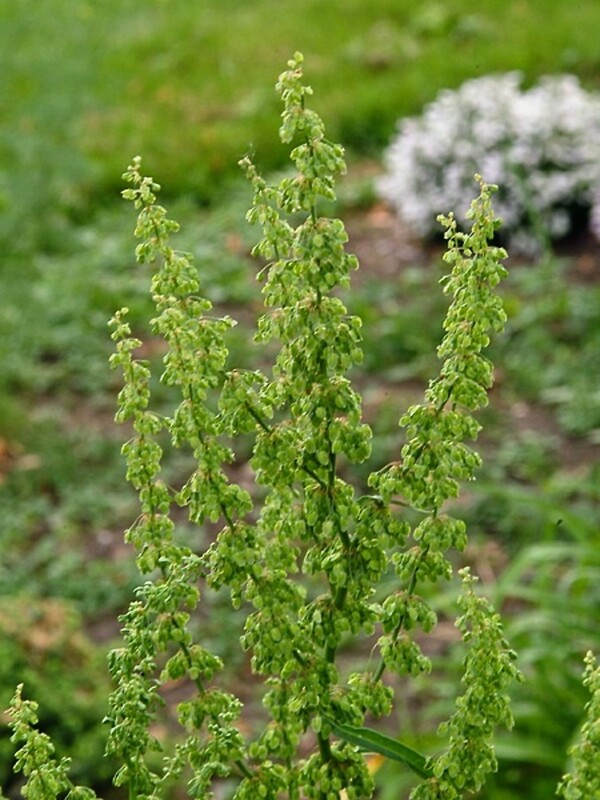 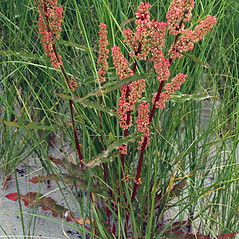 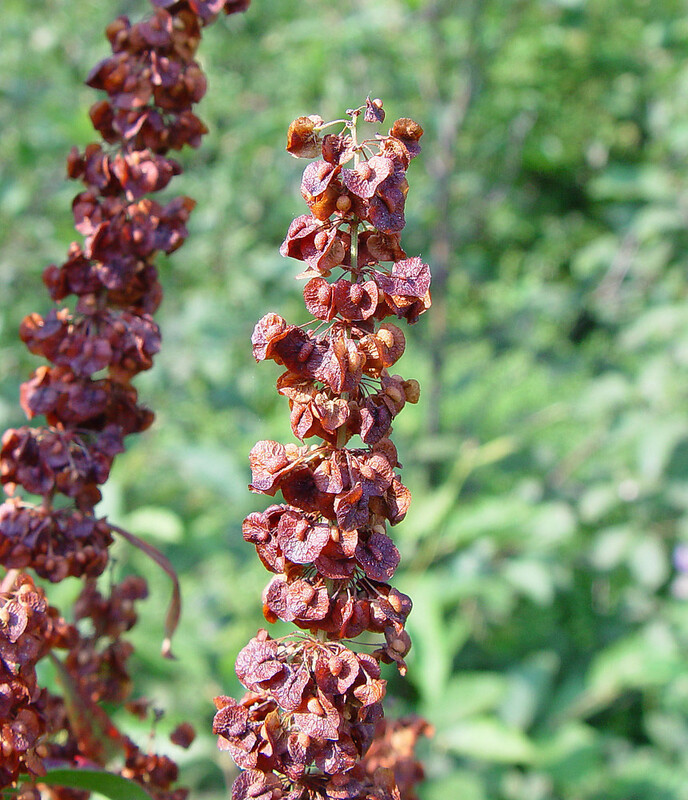 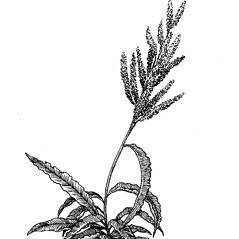 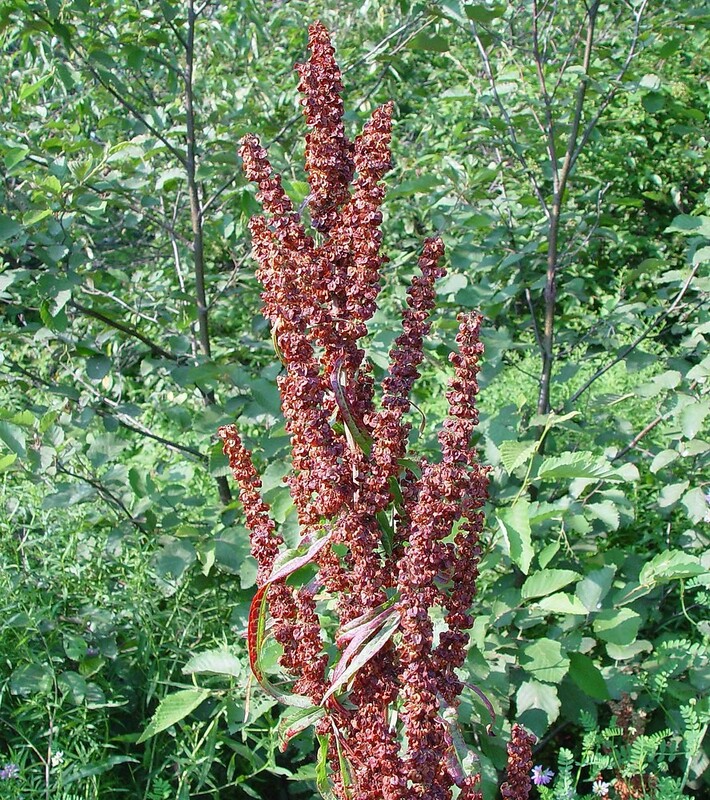 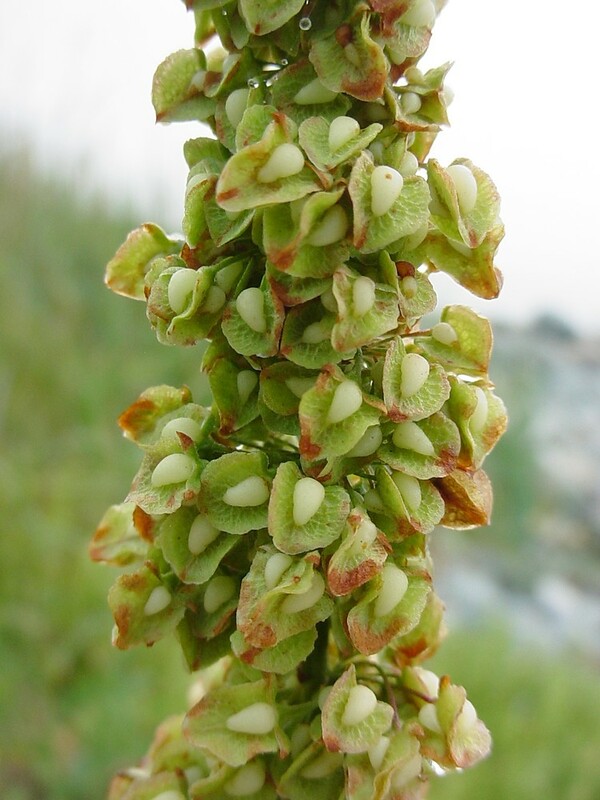 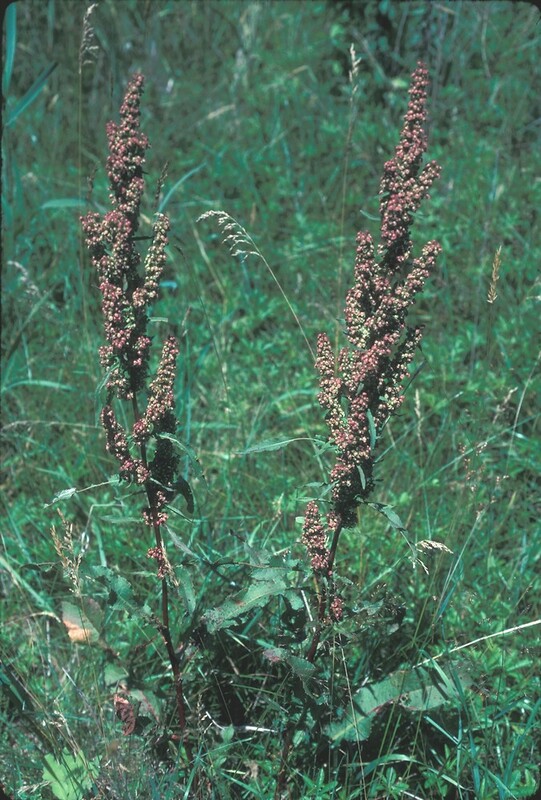 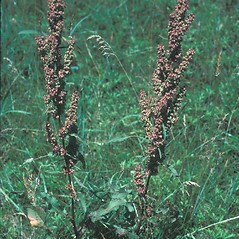 Our subspecies is Rumex crispus L. ssp. 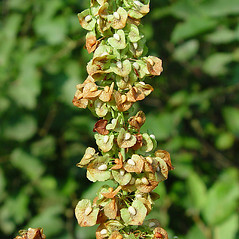 crispus. 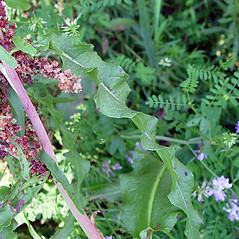 curly dock. 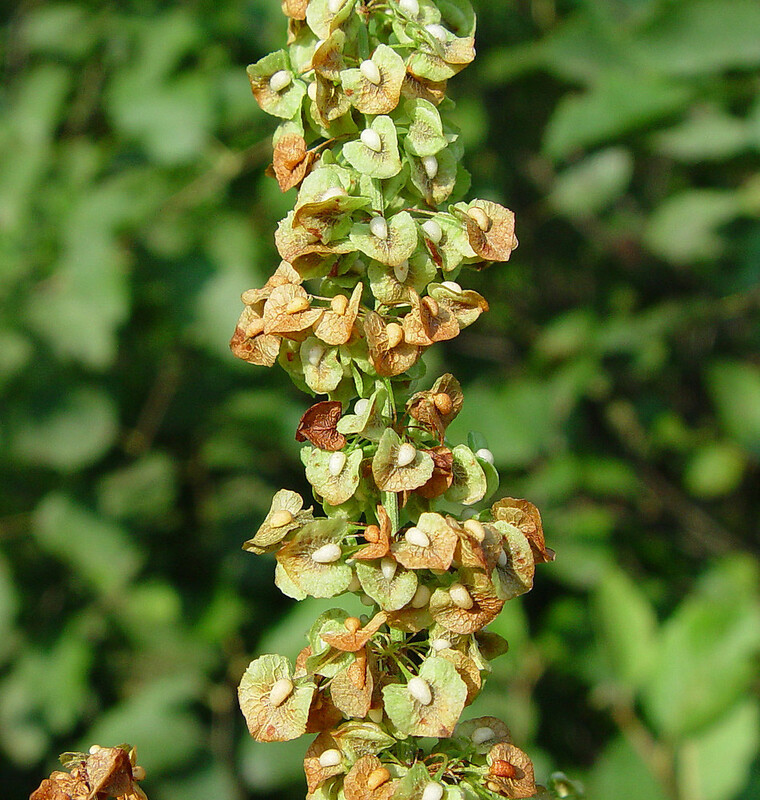 Lapathum crispum (L.) Scop. 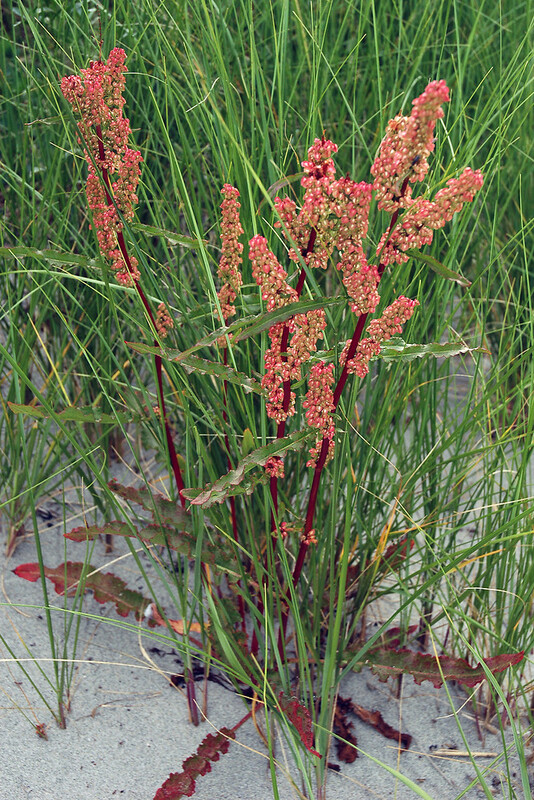 • CT, MA, ME, NH, RI, VT. Fields, roadsides, waste areas, railroads, shorelines, wetland margins, upper edge of coastal beaches. 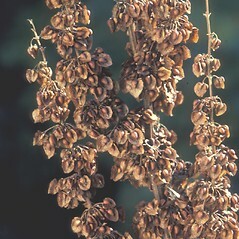 6×8. 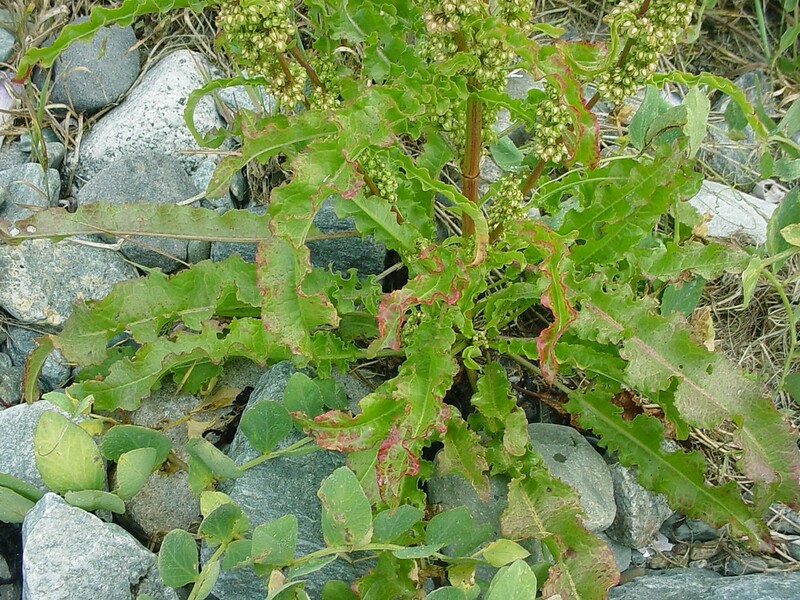 Rumex crispus × Rumex longifolius → This very rare, dock hybrid is known from ME. 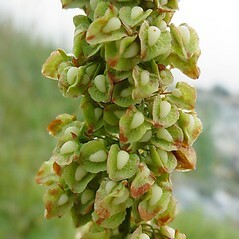 It has ovate to orbicular inner tepals 4–6.4 mm long, only one of which usually with a tubercle, and achenes 2.6–3 mm long (usually 3 mm or longer in R. longifolius). 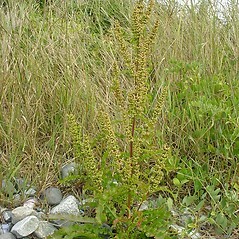 6×10. 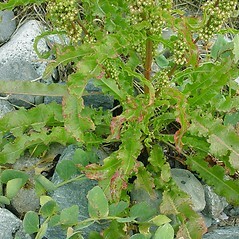 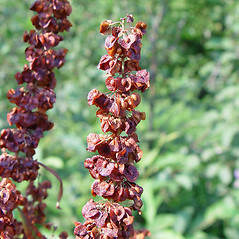 Rumex crispus × Rumex obtusifolius → Rumex ×‌pratensis Mert. 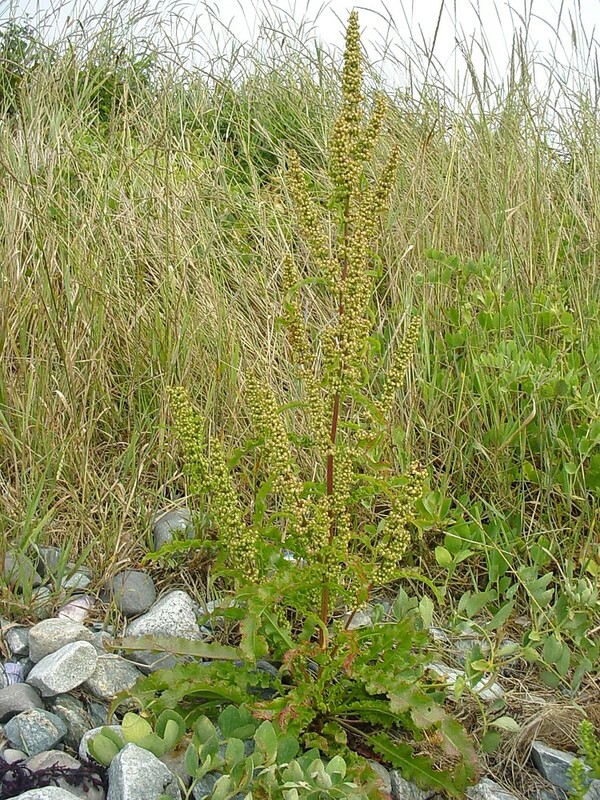 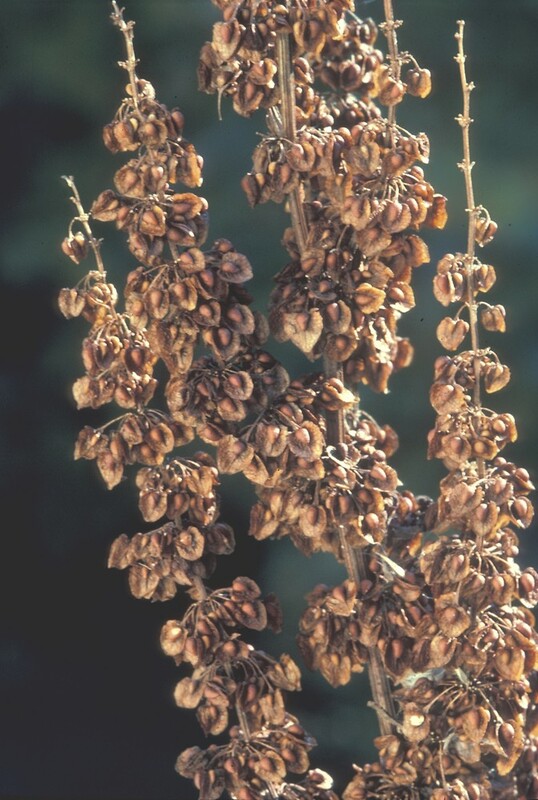 & Koch is a rare, partially sterile, hybrid dock known from MA, ME, NH, RI, VT. Its sterility manifests as fruiting perianths of different shapes and sizes on the same plant. 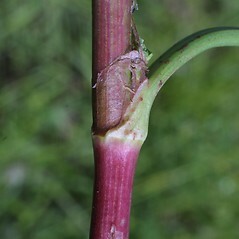 The hybrid has inner tepals with very small teeth along the margins mostly shorter than 0.8 mm tall and leaf blades that are mostly 2–4 times as long as wide, which is intermediate between the parents (mostly 3.2–5.8 times as long as wide in R. crispus; mostly 1.2–2.8 times as long as wide in R. obtusifolius). 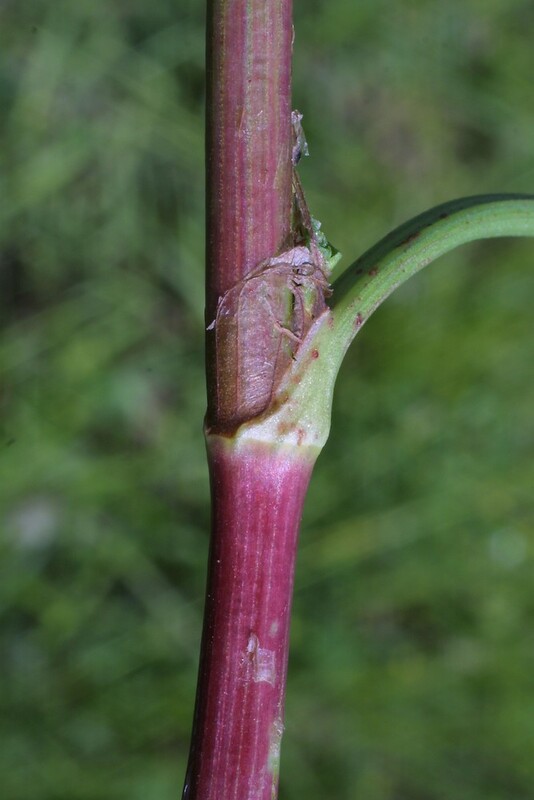 Length to width measurements should be performed on the larger leaf blades.